Even in the midst of World War I, the countless trenches, minefields and blockades could not completely destroy the global insurance network which had so impressively demonstrated its resilience and size following the 1906 San Francisco earthquake. Insurance relations between the two enemy camps never broke off entirely, much less those between the neutral states and the warring countries. Just how intertwined this network could be, despite all the war fronts, became apparent after the British ocean liner Lusitania was sunk by a German U-boat on 7 May 1915. At the time, the Lusitania was the world's biggest ship, 787 feet (239 metres) long with a tonnage of just under 32,000 GRT. In 1907 she had crossed the Atlantic in a record time of less than five days. In May 1915 she was sailing from New York to Liverpool with 1,258 passengers and 701 crew on board when she was hit by a torpedo off the southern coast of Ireland. She sank within just 18 minutes, taking 1,200 people down with her to the seabed. 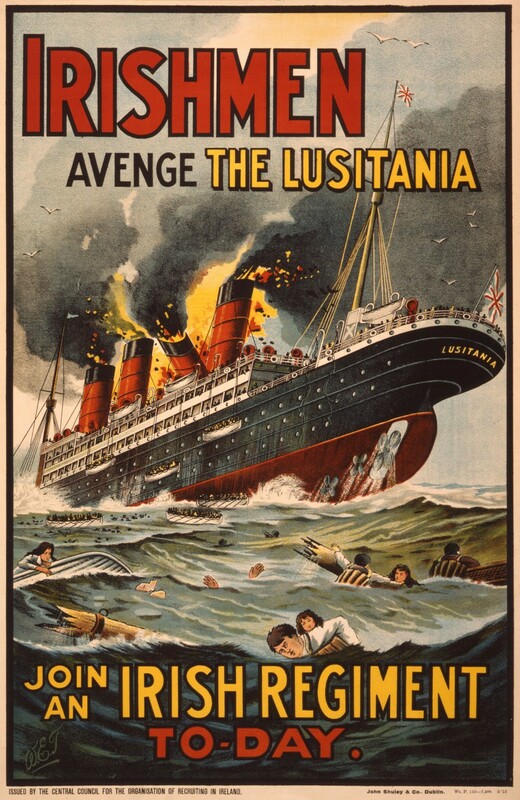 The sinking of the Lusitania was the biggest loss so far for British naval war insurance. As in the earlier disaster involving the Titanic, many of the victims were well known personalities from business, culture and politics who had high-value life policies and, because of the U-boat risk, had also taken out high-value personal accident insurance. As 124 of the victims were US citizens, some of whom, like the millionaire Alfred G. Vanderbilt, were very wealthy, the disaster also affected American insurers. These in turn were able to pass on a considerable part of the loss to their German reinsurers, with whom, prior to the USA's entry into the war, they continued to have business relations. The deadly attack of a German U-boat on a British ship thus tore a significantly bigger hole in the balance sheet of German reinsurers than the iceberg that had holed the Titanic.